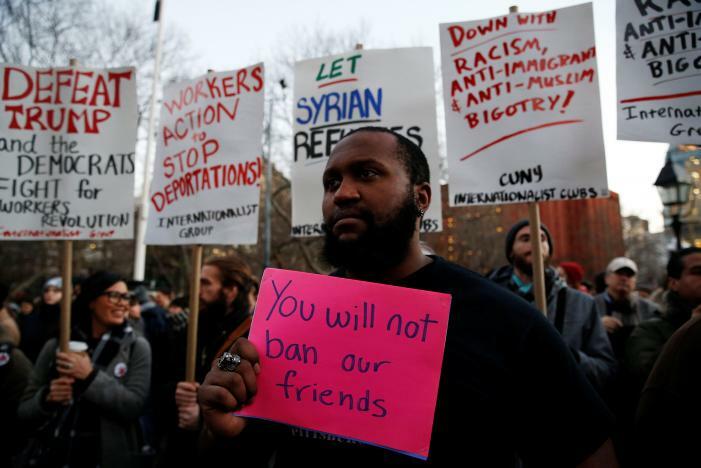 Immigrant and refugee advocates on Wednesday denounced White House plans to temporarily stop receiving refugees and suspend visas for people from seven Middle Eastern and North African countries, saying they target Muslims and will make America less safe. The administration’s aim is to head off Islamist violence in the United States, but critics say the measures soil America’s reputation as a welcoming place for immigrants of all kinds. Before his Nov. 8 election victory, Trump, a Republican, pledged to stop taking refugees from Syria and immigrants from countries deemed to pose a terrorism risk.